Solve the basic 101 Questions related to Life and get better with each Question. Deepanshu Agarwal is a software engineer. From schooling itself, he had a taste to write. 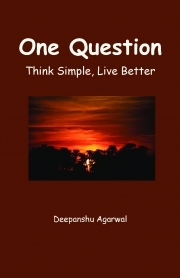 With few popular blogs to his name, this is his first Book which took around 6 months to complete accumulating one question from day-to-day life.